President Trump’s appointment Wednesday of supply-side economist Larry Kudlow as head of the National Economic Council could result in a big tax break for investors. There is no more passionate advocate of having the president issue an executive order to index capital gains for inflation than Kudlow, reports John Fund. In other words, the capital gains tax paid on such investments can easily exceed 100 percent once inflation is factored in. 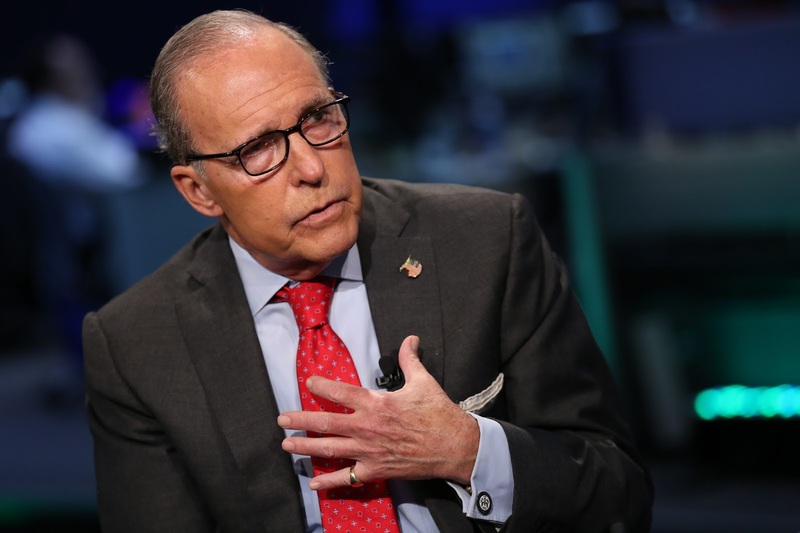 In his CNBC column, Kudlow noted that former Treasury Department economist Gary Robbins has calculated that about one-fourth of capital gains revenue stems from taxing inflationary gains. Indexing all parts of the tax code to inflation would end that disparity. cut government spending at the same time you cut taxes, the money is still going to come out of the system and into the hands of government but in a more convoluted way via government borrowing that crowds out private sector borrowing or Federal Reserve monetization of the debt. Both of these are horror stories for the economy and the general standard of living. Kudlow is a supply-side groupie who will argue that the tax cuts will spur more growth and create even more government revenue but this is an extremely questionable proposition. Putting the questions aside about supply-side theory, itself, who the hell wants the government to have more revenue? Robert Wenzel is Editor & Publisher of EconomicPolicyJournal.com and Target Liberty. He also writes EPJ Daily Alert and is the author of Foundations of Private Property Society Theory; Anarchism for the Civilized Person and The Fed Flunks: My Speech at the New York Federal Reserve Bank. Follow him on twitter:@wenzeleconomics and on LinkedIn. His youtube series is here: Robert Wenzel Talks Economics. The Robert Wenzel podcast is on iphone and stitcher. Are you aware of the HORRIBLE effect of the Trump tax reform for Expat Americans with businesses outside the US? Per the new section 965 ALL accumulated retained earnings from 1986 to 2017 are being taxed at 15.5% for any company that has 50% or more "US Person" ownership. The worst part is they are using the individual as the tax subject as a back door to tax the companies themselves.